I was born in 1998. Now I don't really class myself as a 90's kid as I don't really remember anything from the decade. 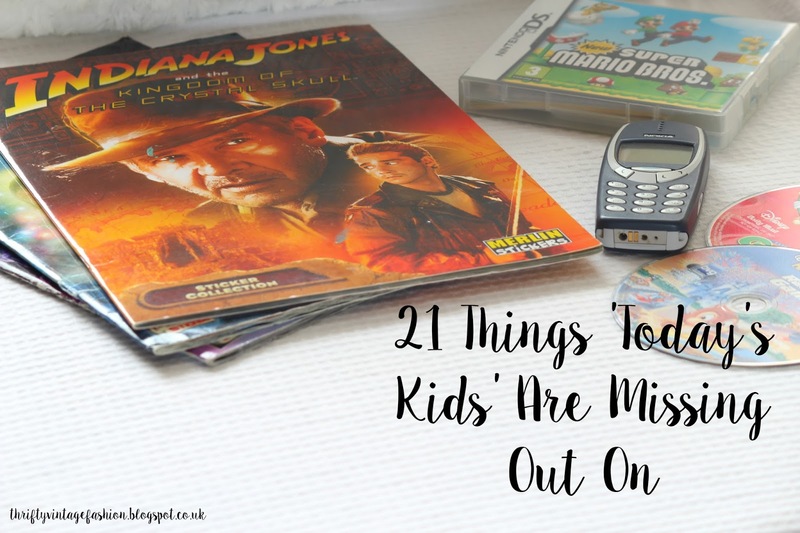 However, growing up in the early to mid-noughties, there is still some very distinct differences between children then and children now. You know I love my nostalgic blog posts. You can check out some of the ones I have done in the past here: 30 things you will understand if you went to a British secondary school, 18 things kids from the noughties will remember and 34 toys we all had as kids. 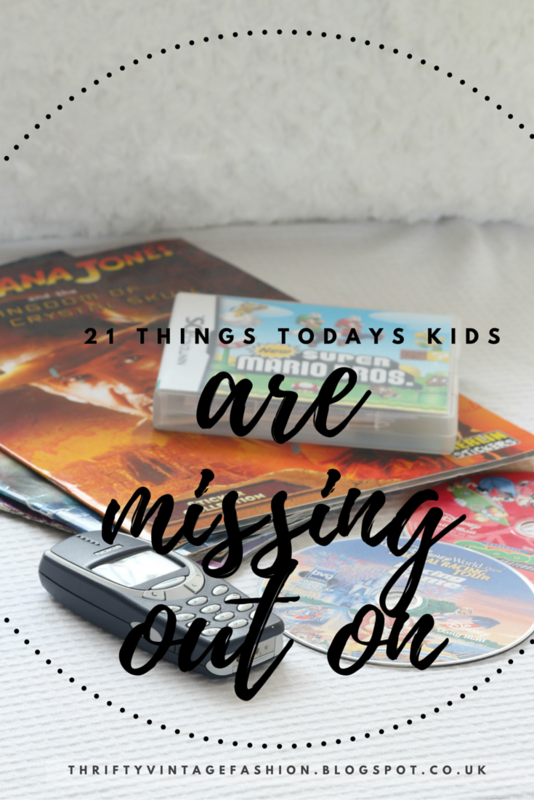 To add to this list, I thought I would share with you 21 things 'today's kids' missed out on when they grew up. Although growing up in a more digitally reformed and enhanced world for children, definitely has its benefits. Sometimes I still feel sorry for these kids. They have missed out on some pure treasures of life. Things that have been forgotten and left behind. Things these kids will never get to experience. I loved growing up in the time that I did, as I have got to experience the best of both worlds. Not given an iPhone from the age of three but at the same time, not left in the dark when it comes to the digital age while technology improves at an exponential rate. Anyway, I am rambling... I hope you enjoy! 6. Only having one computer in the house which was used mainly for cheap computer games. If you ever needed to research something you went to the library and got a book. I know... A book! 7. MSN. In all of its glory! 9. Having to decide what 'Word art' font you wanted for your homework on Word. Oh, the decisions! 10. Being able to borrow audiobooks from the library which you would take on holiday and listen to in your portable CD player during the journey. Who else read/listened to the cat mummy by Jacqueline Wilson? CRINGE! 13. Having your first phone look like this... This was high tech stuff kids, back in the day! 14. Watching Disney movies on VHS! 15. A treat was considered going to the Mccolls and buying a pack of stickers for your sticker book. Most of which you probably already had. The rest you tried flogging at car boots. If you ever completed one of these books (I did) you remember the shear joy of sending off for the big sticker to go in the back. 16. Living in a time where 'Google it' wasn't the answer to everything. When there was no social media, no snapchat, Instagram or Twitter. Oh, how the world was so different! 17. Getting really excited for the fortnightly girl talk magazine. Let's not forget the crappy gifts, you thought were the bees knees! I swear kids these days don't even know what magazines are? 18. 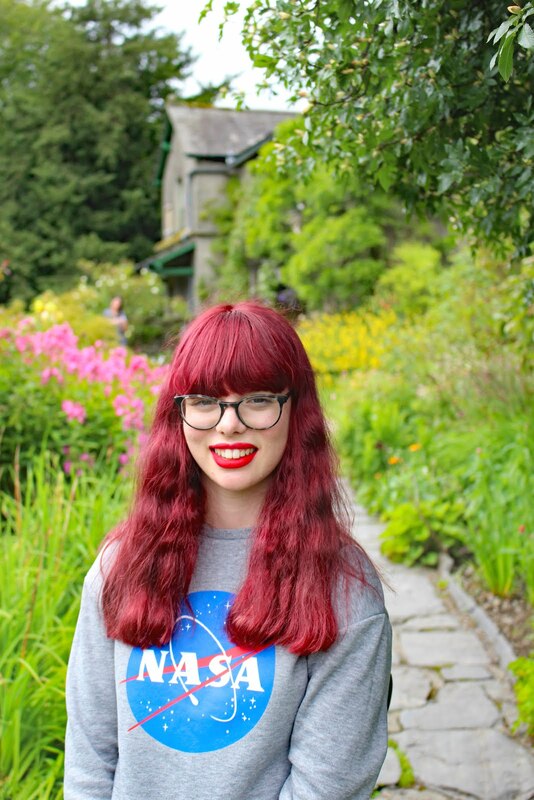 If you ever wanted a photo... You physically had to go into boots and print it out. You couldn't just store them on your phones. 19. Actually reading books that were made out of real paper. With the real smell of books... OMG, that smell! 21. When you actually had to use your imagination to play games, come up with ideas and learn new things because there wasn't an app for it! I am definitely sure there are so many other things that need to be added to this list! If you can think of anything else then please do let me know in the comments below! Do you think it's better to be a kid today or a kid in the past?! I would love to hear your thoughts! I still have loads of my Disney videos on VHS - I'm not sure if I can bear to part with them yet! Sticker packs were also definitely the one, I remember having loads when I was little. Plus, if you didn't collect the Horrible History magazines, what were you even doing?! Haha! I was born in 1998 as well! And it was such a great year to be born ahah this post has made me miss my childhood! Its crazy how different things are now! Ugh yes thissssss. I fear for the generations that grew up playing games and watching Netflix on IPADS! Yikes. I was born in 1996 and people give me weird looks for remembering that dial-up sound, hahaha. 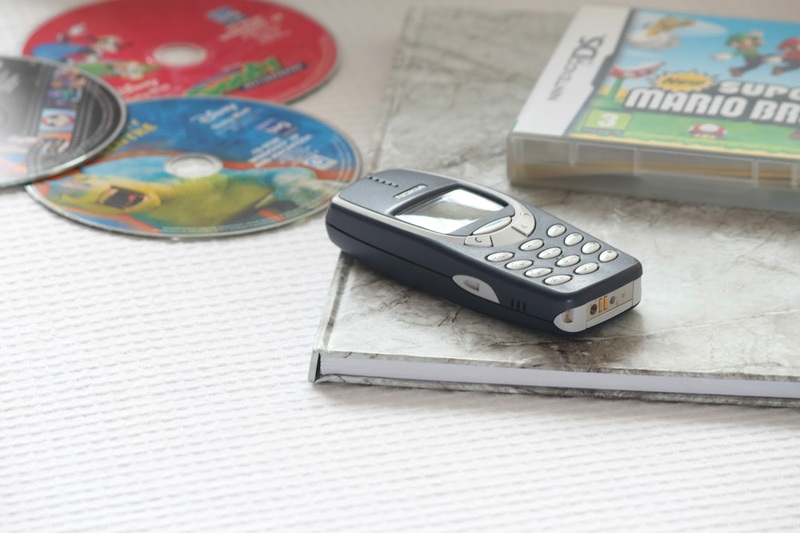 Nokia3310 was probably the best phone I've ever owned. :D I actually still got one in my storage and I'm sure it'll work perfectly fine if I'd go and dig it from there haha! Oh those good times, good old times. Oh! And when you turned PC on - that noise. And when there wasn't discs, there were diskettes, oh my goodness! I feel so old. And I'm only 21. Oh my. I was also born in 1998, I love this post! I remember when my tamagotchi died, and I cried. I couldn't see why my mum was insistent that it wasn't such a big deal, hahaha. I also loved Jaqueline Wilson and the Cat Mummy. I still have my (51 book strong) collection of her books because I can't bear to get rid of them, so I'm waiting until my my god sister gets old enough to read them so someone else can enjoy them. Oh my goodness, WORD ART! Using it used to be the highlight of any computer based work hahah 🙈 I absolutely loved sticker books as well, I wasted so much money trying to get a complete set! And yes, the smell of real books!! I still smell every new book I get! Really loved this post, super relatable! I love this post. it made me remember so many things! I was absolutely obsessed with Stardoll, I wish I could get back into my account and see what it looks like now! Haha, my first thought definitely was "Helloooo, I'm 10 years older than you." :D The 2000s were not bad to grow up in, although I definitely prefer my 90s childhood cause there was even less technology going on. Except for a Gameboy. But I totally agree with you in feeling nostalgic and sorry for today's generations. My godson is 5 and totally knows how to work an iPad or a Nintendo Wii. I mean, he does play outside and with normal toys, but still. Loved this post! Oh I remember Club Penguin and MSN those were the days ahha >_< When I was little we used to play on the street but now I never see kids outside.